Tim Ulbrich graduated from the Ohio Northern University Doctor of Pharmacy program — which he decided on straight out of high school at age 18 — with $200,000 in student loan debt. After three years of Tim and his wife being on the Standard Repayment Plan and feeling like they were living paycheck to paycheck, they began aggressively paying back on the loans and were able to pay off the last of the debt in the fall of 2015. Now Tim is a clinical professor of pharmacy and program director for the master’s program in Health-System Pharmacy Administration at Ohio State University. On top of that, he founded the Your Financial Pharmacist blog, co-hosts the Your Financial Pharmacist podcast and co-wrote the book “Seven Figure Pharmacist,” all of which are geared toward helping pharmacists realize their financial goals and achieve the lifestyles they want. Travis Hornsby: [00:00:04] Hello, and welcome to the Student Loan Planner Podcast. I’m Travis Hornsby, and today I’ve got Tim Ulbrich joining me. Travis: [00:00:11] Tim is a clinical professor of pharmacy and program director for the master’s in Health System Pharmacy Administration at the Ohio State University. I have to say that because, you know, it’s important to put the prefix in front of it. So he graduated from Ohio Northern University with his Doctor of Pharmacy and completed residency in Community and Ambulatory Care at Ohio State. And Tim paid off $200,000 of non-mortgage debt, and he is currently working to empower pharmacists and pharmacy students to take control their financial future. He’s the founder of Your Financial Pharmacist blog, co-host of the Your Financial Pharmacist podcast and co-author of “Seven Figure Pharmacist.” So Tim, thanks so much for joining us today. How you doing? Tim Ulbrich: [00:00:48] Doing well. Thanks for having me on. Excited. Travis: [00:00:50] The first thing I’d like to do is just to acquaint our listeners with you a little bit better. So I know you, Tim, from having conversations going back a couple of years when we were —. Travis: [00:00:59] — both kind of starting to get going and helping pharmacists with their student loan debt. And we’ve just been swapping business ideas for the past couple years. I just thought it made a lot of sense to have you on the show. So tell us a little bit more beyond the bio about your journey into pharmacy and what made you decide to become a pharmacist. Tim: [00:01:14] I have one of those stories in a pharmacy that, you know, I look back and say, I’m so glad it all worked out that way, but I couldn’t have predicted the future. And thankful to a high school counselor who said, hey, it really looks like you like science and math, and have you thought about pharmacy? And I thought, I have no idea what a pharmacist does besides CVS or Walgreens. And so from there, you know, as a senior in high school, I had the opportunity to intern at an independent pharmacy, which was a really exciting opportunity for me. I grew up in small business and have always had a passion around entrepreneurship and small business. Got to see that side of pharmacy and how they care and help for patients. So I thought, yeah, looks good. You know, looks like a good career. Lines up with interests. Looks like something that I’m passionate about. Has a good income trajectory. Lots of job opportunities. So from there, I made that decision: senior in high school, I’m going to go into pharmacy school. And I went to a 0-6 Doctor of Pharmacy program at Ohio Northern University. So no undergrad, then PharmD. You know, what attracted me to this program is I didn’t have to go finish a degree and then take an exam and get into pharmacy school. So six years straight out of high school and I’d graduate 2008 with my Doctor of Pharmacy degree. Tim: [00:02:14] So that was the beginning. And what’s funny is I look back and think about my day-to-day job right now is all the reasons I thought I’d go a pharmacy; I’m doing none of those things. So you know, it was one of those things where a degree is a gateway to other things. And relationships and networking and residency training had really opened up a lot of other doors to me that even exposed some of my entrepreneurial interests of how I could help advance the profession in a different way. Travis: [00:02:36] So let me just ask you a question a follow up question to that the six-year program. So for some universities out there, we’ve really seen some big carnage for those kinds of programs. It’s probably a lot worse today, both at other universities besides — well, UN too, but also the number of universities who are trying to do that. So one example was we had a student who went to a proprietary program for pharmacy school, racked up a couple hundred thousand dollars of Parent PLUS loans and then went to pharmacy program still affiliated with this program. Then took out an additional $250,000 of debt. What kind of programs do you think are good deals when people commit to that at the age of 18, you know? And what programs are — because I have to be honest, like, I don’t know, you probably a lot more responsible than me, Tim. But you know, back when I was 18, I was thinking about national football championships at the University of Florida, and I thought I was going to be, like, a solar panel developer or something. I was not at all clear what I wanted to do with my life. Tim: [00:03:30] Yeah, you know, I wish I could say I more responsible. I mean, I think as I look back, I’m grateful for the decision. And the experience I had there at a small university really opened up lots of opportunities and doors. And one that I’m forever grateful for. And while the university I went to has a very expensive sticker price, they are notorious as many others are known for discounting tuition. So as I look back, was there a difference between staying back home at the University of Buffalo, in-state tuition and going through six years that way in terms of a 2-4 program? Yeah, there probably was, and probably was in a significant way. And I think if I had to do it all over again here as I am now, 35 looking back and saying what would I tell my 18-year-old self, I think that’s what I would have done. I think would have went to in-state tuition. I would’ve rolled the dice. I would have worked hard in a two- or four-year degree. Gotten a bachelor’s degree potentially and then went into pharmacy school. Tim: [00:04:18] And the reason I say that, Travis, I think one of the greatest risks of a 0-6 or even 0-7 program — you know, there’s one of those out there — is that, you know, I had several classmates that got into their fourth or fifth year and for whatever reason, decided pharmacy wasn’t for them. Or at that point in time they had potentially failed out of the program. And when you don’t have a bachelor’s degree to sit on — and obviously you could go get one and tidy up a couple of courses — but you’ve racked up all of that student loan debt, and you were doing that on the assumption of an income. I think you’re obviously delaying your long-term financial plan. So one of things I’m really in tune with today — and you and I were talking a little bit before we jumped on and recorded — is the ROI (return on investment) of the pharmacy degree, right, because it’s not the same today as it was five or 10 years ago. And I think that choice of college is incredibly important, to look at the best price, what’s most affordable for the quality that you’re getting. And I would argue there is a big spectrum out there in the pharmacy education that maybe wasn’t there 10 or 15 years ago in terms of the ROI and the differences between schools. Travis: [00:05:20] That’s a really great point. I think that — I had a really great math teacher in high school who basically told me, if you’re going to go to college, either go to the very best school for the thing you specifically want to do if it’s like a top 10 kind of school in the country. Or if it’s not, then go to the very cheapest, large state university, public university where the tuition is very cheap so you can have a few years to figure your life out. And so for that for me personally, I was very grateful that I had that. I feel like I would have — I mean, it just kind of scares me with folks going in at 18 and deciding what their graduate degree is going to be in. But it worked out for you. Yeah. I just thought I’d mentioned that because my wife actually did one of those type of programs, but for medical school. She did a 0-6 program for medical school, and it worked out for her. She obviously did well with that, but I think that if she had had a couple more years, she might have made some different decisions in terms of what residency program she chose, what specialties she chose. Things would’ve been a little less rushed. Tim: [00:06:12] Did your wife do a B.S./M.D. (Bachelor of Science/Doctor of Medicine)? Travis: [00:06:13] I think so. I think she did a two-year program with like a Penn State in Jefferson Medical School or something like that. But yeah, same problem, like a lot of the folks dropped out of the program. And the thing that’s most tragic for me is, like, she never even went to a Penn State football game. Not a single time. I’m joking, you know, but uh, she doesn’t really have a lot of great stories from undergrad. And that’s fine. And mean, I think that she doesn’t really mind that as much. She was happy to get her M.D. and to get her career started a little sooner. But I think that having some of that life perspective and having the lowest cost possible is really important if you’re going to go to — get one of those type of programs, so —. Tim: [00:06:48] Let me add onto that real quick, Travis. I think the choice of the place is incredibly important. The thing that I overlooked, and I see our students here and at my previous work at Northeastern our medic university overlooking, is that the choice is one part. It’s then the game plan you’re operating while you’re in school. We traditionally see is up to, if not sometimes more than about half of the student indebtedness to graduation is because of cost-of-living borrowing. Tim: [00:07:11] And now we’re talking unsubsidized loans, 7%. We see at many schools where tuition is $15,000 to $20,000 a year, times four years, you’re looking at $60,000 to $80,000 tuition. But the average in student indebtedness coming out is $160,000 to $180,000. So tuition is one part of the equation, but what else are you doing to minimize cost of living? And then, you know, lots of students now are working 10, 20 hours a week. How are those funds being utilized to help mitigate some of that coming out? So I think it’s very realistic that even without parental support, just looking at being strategic and intentional with scholarships. Being strategic and intentional with choosing the school. Being strategic and intentional with keeping your cost of living low. And then also on the back end, you know, with the great work that you guys do, being strategic and intentional with your repayment plan. I think it’s very easy to turn in to what is becoming a lesser or lower ROI to being a very, very good ROI. You know, I look at somebody for many reasons should be able to graduate pharmacy school with below $100,000 of debt. And obviously then you look at where the job market and other things are going that we can prevent this situation of, you know, coming out with $350,000 of debt and should I do residency or not? Travis: [00:08:23] One thing that I would wonder what your thoughts are though is if you have $200,000 of pharmacy school loans or $350,000 of pharmacy school loans, at a certain point, with a debt-to-income ratio being above a certain level, it almost doesn’t matter in terms of the actual cost of what you’re going to pay. So what are your thoughts about, like, when do you think is past the point of no return in terms of if you’re going to work for a private sector employer and refinancing? Travis: [00:08:46] What debt level do you say, you know what, it’s just too much to refinance this? Tim: [00:08:49] Yeah, that’s a good question. We’ve talked before about different debt-to-income ratios. I kind of in my mind look at 1.5 to two times, I think $200,000, $250,000. When I see that level of debt load, especially with I see where the market is going in terms of incomes in the private sector, I start to think, ok, what is the strategy? Is there a strategy to try to achieve employment with a qualifying employer for loan forgiveness, right? Or, you know, there’s always unique situations. If somebody has a spouse that has a great income. There’s an inheritance in a family. There are other things that, of course, can confound and impact this decision. But I think the decision to pursue something like postgraduate training, for example, really depends to me of what is the area of that postgraduate training. You know, if somebody is going to postgraduate training in the outpatient setting, and they have $250,000 of debt and the likelihood is that they’re not going to work for a qualifying employer for loan forgiveness, well, we’ve got a problem, right? And I think there is a point where you have to really evaluate the impact of the indebtedness on a career choice, and that’s not advice that you’re typically going to hear from a career mentor. Usually that advice is given in a silo to say what’s the best career option for you. But I think the financial piece has to be a part of that equation. But you know, if somebody is thinking, you know, I’m going to do two years of inpatient residency. I’m going to do a PGY1 and a PGY2, then the odds are I’m gonna have a high likelihood of landing a job and a qualified employer. Well, that debt-to-income ratio, we have a little bit more wiggle room because the likelihood of pursuing loan forgiveness at least for now is going to be there. Tim: [00:10:17] So I think this gets back to one of things I’m always trying to harp on. And I like what you guys do in the service that you offer is that every single person’s situation is unique when it comes down to employment trajectory. How much indebtedness they have. What are the repayment options? What’s the situation with a spouse and other income? All of these factors are going to influence the route that somebody is going to go. And probably one of most frustrating questions I get is wanting blanket advice for a group of a hundred people in a room about what is the best repayment option, right? For everyone in the room, it may be a different situation that they need to pursue. Travis: [00:10:50] One of my software development buddies is like, I don’t understand your business, Travis. It makes no sense. You have conversations with people on the phone with actual humans, and you give them repayment advice. Like, why can’t you turn that into an algorithm and just write some program and just have people pay you for the algorithm? They just take the test, and they get their result. I tell him, maybe I could, you know, with a certain level of accuracy. But it’s a lot more complicated than that because people are very emotional creatures when it comes to money, right? Travis: [00:11:18] So that’s the problem is this software is really good for, you know, objective, math-based answers. But the problem is a lot of times, goodness sake, some of the most difficult conversations I have is when somebody is making one of those $85,000 a year salaries and has $300,000 dollars of debt, and they are absolutely determined to pay it back. They do not want to listen to me saying that you need to do an income-based program. You need to go for loan forgiveness. They’re like, heck no. That’s, like, immoral. I don’t want to do that. And I’m like, ok well, let me think of another way I could explain this. Tim: [00:11:49] Let me convince you a different way. Yeah. Travis: [00:11:50] Yeah, a lot of, like, do you care about your kids? Do you want them to go to college one day? Oh yeah, I do. Okay, well, what’s more important? Paying your loan or paying for your kid’s college? Travis: [00:12:00] So just in that light, you’ve been helping pharmacists with their money for a long time, but can you explain that journey of how you got into helping people with their money in the pharmacy world? It seems like a really unique niche. Travis: [00:12:10] Yeah, I think the school of hard knocks, you know, is probably for me the moment of, ‘Wow, that hurt. There could have been an easier way of doing that in my own journey, and why is nobody else talking about this in the pharmacy world?’ was kind of the beginnings of that journey. So 2008, I graduated 2009. I did residency, so I made a whopping $31,000. All my friends and colleagues were making $120,000. They’re getting big sign-on bonuses. And so 2009, I come out of residency, and I get a little over $200,000 in non-mortgage debt. So my wife and I are really meddling through this period in transition of, ok, finally made it. We’re trying to get stable on our feet. We want to purchase a home. We want to start a family. And my wife married into almost all of this debt. So she had a little bit below $50,000, and she still chose to marry me with what I was gonna bring to that that relationship. And we ended up going through the first three years or so — 2009 to 2012. We really didn’t make much of any progress on the loans because when you have that balance at — most of them were 6.8% fixed loans. We were making payments, but we weren’t really seeing much momentum and progress. Tim: [00:13:12] And as I look back, the primary reason, Travis, was a lack of intentionality. We were reacting to monthly payments, but we really didn’t take a step back and say, what is our overall financial plan? What are we trying to achieve? What are the goals and the dreams that we have for our family? And what do we want to do with these? And if we would have done that earlier on, we would have said, all right, loan forgiveness. Let’s focus on these other things. Or we’re going to refinance these, get a better rate and we’re going to knock these out. And we didn’t do either one of those. We provided the worst-case scenario, which was stay in the 10-year Standard Repayment Plan. Tim: [00:13:43] Long story short — 2012 at the time — I started listening to a lot of personal finance podcasts, reading a lot of books. A topic that I love to talk about, read about. There was really this ‘aha moment’ that we’re not being intentional about our financial plan. We’re not setting goals together. We’re not budgeting together. And long story short, we finally started working on this together to say, there has to be a different way. We’re making a great income, but we feel like we’re living paycheck to paycheck. That was the moment where we thought there’s gotta be a different way of doing this. And so just by budgeting alone on a single income, my wife at the time was staying home with our oldest son Samuel after he had been born. Just on the budgeting piece alone, we had, quote, “discovered” $2,500 a month that we are otherwise spending that we weren’t being intentional about. And you know how this goes, right? It’s Target. It’s Amazon. It’s insert whatever in terms of where expenses go. And so we got locked in a zero-based budget, and we freed up that money to throw directly at our principal. And again, yes, I’m grateful we paid down our student loans. But as I look back, we could have been in a better position with PSLF (Public Service Loan Forgiveness) or refinancing. But nonetheless, that was a catalyst that got us going. Tim: [00:14:45] Fast forward: Fall 2015 we hit submit on that very last payment of student loan debt. And after that journey — and I was waiting for the fireworks and all these things and I didn’t see any of that happen. I thought, why is nobody talking about this topic? And I started to talk to colleagues. I started to talk to others in pharmacy education and in pharmacy organizations. And the sentiment I kept hearing over and over again is that ‘I feel like I’m living paycheck to paycheck, but I’m making a six-figure income. And nobody is talking about this topic.’ So I e-mailed a hundred of my closest friends. And I said, “Hey, I’m thinking about starting a blog: Your Financial Pharmacist. Talk about personal finance education for pharmacists. What do you think?” The feedback I got from that was encouragement to start that, which then became the podcast. Now we’ve got financial planning services. We got the book. So that was really the motivation. Our mission is to help pharmacists achieve financial freedom in many different avenues. And we meet people where they are. And that encompasses student loans. And that encompasses the rest of the financial plan. And Travis, what we have seen is — and I’m sure you see this with your clients each and every day — topics that we take for granted — budgeting, basics of life insurance, student loans, things that maybe we should have learned — the reality is that we have not learned it. And we cannot depend on pharmacy schools or K-12 education. We are spending time just on the fundamentals of personal finance, but we’re seeing that have a tremendous impact on the financial journey and the freedom that it’s providing people in their financial lives. Travis: [00:16:07] You guys are one profession — super dedicated to one profession, and you have the mile-wide coverage in all these areas that affect that profession. And you, know we’re a little different in that we have the one focus that’s mile deep but every profession that we can help with what we know. One thing that I’m interested in with your knowledge of the pharmacy world maybe you can share — feel free to anonymize it a little bit, of course — but the biggest train wreck story you’ve had. You know, the reader e-mailing you, or you know, a story you’ve heard with somebody’s finances, a big mistake they made. Tim: [00:16:36] Probably one that sticks out to me recently is a pharmacist I talked to on the West Coast who lives in California. I think indebtedness was somewhere between $350,000 and $400,000. Had graduated. Was in a part-time position, looking for a full-time position. Couldn’t really find anything that was readily available. Didn’t have an interest in going back into residency training. Wanted to purchase a home, which, I’m coming from my Ohio point of reference and about fell over when they said, you know, two bedroom for $600,000 or something like that. And I was like, I could buy a mansion here in Ohio for that. What scared me about that story — and it’s something I’ve seen across others — is there was no sense of urgency in that story. There was still a sense of entitlement of, for whatever reason, coming from whatever, that ‘I’m a pharmacist. I’m going to make a good income. And I don’t have to worry about the student loans.’ And I was honestly trying to very gently have the conversation that would be the wake-up conversation that every month that goes by, this is having significant long-term impact on your financial plan. Even just beyond — if they’re not feeling it at the moment, let’s look at delayed retirement savings. Let’s look at other goals that you have and things you want to achieve that you’re unable to because you feel like you’re living paycheck to paycheck each and every month. What impact is this going to have on the future of your family? All these things. And I have 10 other stories just like that that. You know, high-debt loads. $300,000 to $400,000. Not necessary sense of urgency in the job market, or what do I need to be doing to hustle? Or maybe this means I pick up and leave for two or three years just to get my feet running, and then I come back if I’m able to do that. Tim: [00:18:09] The other common thing that I see, Travis, in new practitioners and pharmacists in terms of train wrecks is that they’re trying to accomplish eight or nine different things at once. So they’re coming out at $200,000 of student loan debt. They’re maybe getting married. They’re trying to buy a home, typically over-buying a home. Living paycheck to paycheck. Don’t have an emergency fund. Don’t have life insurance. Don’t have the basic foundations of a financial plan. But again, aren’t seeing the urgency to turn the corner. And that’s hard because when you advise people, you know, I can’t help them get to that ‘aha moment.’ I can prod. I can ask questions. I can have them self-reflect. But you have to personally come to that moment to say, “I may perceive this to be the reality of the profession. Maybe somebody told me not to worry about it. But the reality is it’s impacting my personal financial plan right now.” And so I would say those are probably some of the most common train wreck situations, if you will, that I see out there. Travis: [00:18:58] What about success stories? Tim: [00:19:00] Aw man, success stories get me fired up. And you know, one thing I want to say about success stories is that the one theme I see across all the success stories — and we have hundreds of them, you know, in the YFP community — is a passion and desire to learn and increase their financial IQ. And once somebody catches that bug, it is so, so contagious. People are reading books every month or listening to podcasts. They’re engaging with the professionals, like you that do this each and every day. But the thing is, they’ve come to that moment of self-realization ownership that I have to take control of this, and I’m going to deflect this to a different direction so that I can achieve these other goals. So just as I share that story of someone who’s in $400,000 of debt, I’ve worked with new graduates that have paid off $300,000 of debt within a five-or-less-year timeframe. I’ve worked with pharmacists that graduate with $100,000 to $150,000 of debt that are paying that off in 24 to 36 months. And the key is, you know, ‘The Millionaire Next Door’ principle is live as if you don’t make $120,000, right? So these are the individuals that come out and say, I’m going to pretend like I’m making $50,000 or $60,000. Or I’m going to live like I’m a resident for two or three more years, and I’m going to be intentional about paying these off, if that’s the right move. If they’re not pursuing forgiveness. In most cases, they’re refinancing, and then they’re knocking those out. And the incredible thing — One I’m thinking about, Travis, we interviewed on the podcast, Your Financial Pharmacist podcast, just couple of years ago, was a pharmacist down in Arkansas. Him and his wife, who had paid off $150,000 within 2.5 or three years had been maxing out there their 401(k), fully funded an emergency fund and had five rental properties in that time period. And what fascinates me is that I can’t tell you how many stories there are of two people that start in the same exact place but because of behavior, because of motivation, because of grit they end up in a very different position five years later. Travis: [00:20:45] Yeah, you’ve got to be motivated. When you’re talking about the person in California with the $600,000 house, Tim, I was a little jealous. That seems like a pretty easy thing to talk somebody off a cliff for, you know? I’m out here talking to people why they can’t buy $3 million horse farms. Travis: [00:21:07] — I guess one of the common themes is if somebody is totally intransigent and unwilling to listen, that’s the most difficult thing to change. When somebody is not even open to feedback. I’ve had a couple of cases where people wanted to spend $100,000 on a wedding or something like that. You try to get them, creatively, to talk about different things, maybe different perspectives they hadn’t thought about before. But, wow. And sometimes people are like, you know, there’s one school district that my child needs to be in, and if this one school district, we don’t get it, it’s — Life’s over. Tim: [00:21:35] Life’s over, yeah. Travis: [00:21:37] I want people to take a trip somewhere, some third-world country, you know. Travis: [00:21:41] Yeah, get some perspective, and see what life is like out there. That’s just really amazing. It’s one of my things I’m most grateful for. So my next question for you is residency is really proliferated all across the pharmacy profession. That didn’t used to be the case. Do you see that as a sign of weakness in the profession? Or do you think hospitals are able to take advantage of cheap labor sources? Or do you see there’s some positives in this as well? Tim: [00:22:03] Yeah, you know, this may be the academic in me at heart. And actually I’ve done over the past 10 years, I’ve done a lot of career advising for those that are seeking residency, so I’ve seen the market, where it’s gone. I’ve seen the competitiveness. And the number of spots has increased, but there still is not nearly enough for the demand. Tim: [00:22:19] So what we’re seeing consistently over the last seven or eight years, about 66%-ish, give or take 3%, of applicants each and every year are ultimately getting placed into a program. And the challenge with that is you have a third of applicants that get almost about a month, month and half away from graduation, and they’ve got nothing lined up, right? And now they’re facing the student loan debt and all these other things. I genuinely think that if we look at the history of residency training, where the profession has gone, inpatient and outpatient, without question it has advanced the profession of pharmacy. I think as we look at, without getting too far down the rabbit hole of where the profession is going, technology, automation, Tech-Check-Tech, Amazon, others entering into the space, that I think the commodity of a practitioner and a pharmacist that’s getting paid a six-figure salary that isn’t operating at the top of their license — I don’t see how that goes ahead in the future as is current status today. Tim: [00:23:11] So if I’m an applicant, I’m looking forward to the profession, what the job market is pushing toward is really, in some cases, requiring in other cases, the market just taking care of itself that you need to have residency training. So for example, Cleveland Clinic where I was up in the Northeast Ohio area prior to coming down here in central Ohio, that was a requirement regardless of role. What it used to be 10 years ago is if you wanted to be up on the floor interacting with patients around with the medical team, you had to have one or two years of residency. Now it’s really across the board in that system, even if you’re in more of a distribution role, that you need to have residency training. And so as others like that take that stance, even here at Ohio State in terms of the medical center, they’re seeing that transition happen as well in the market. So what I would say to the listeners is that everyone may not like the direction of where that’s gone. And is there, in some regards, taking advantage of cheap labor? The reality is the job market is pushing in that direction. Tim: [00:24:01] Now the question that I think we need to be thinking about as a profession is where does that end in terms of the cycle? So if you look at when I came out 10 years ago, somebody would come out of a PGY1 or postgraduate year 1, and they walk largely right into a clinical role. And that has shifted back now where people are coming out of a PGY2, and that’s a tighter job market. People are coming out of PGY1 and going into what used to be graduating with a PharmD and going into a hospital role, which now means if you’re coming just out with the PharmD, your likelihood of getting into a hospital setting, which has implications on loan forgiveness, is pretty low without residency training. There’s been discussions about required residency trainings, and it feels like it’s moving toward a medical model. But one of the things we’re seeing is really a split in terms of the profession and the level of training that individuals have and the requirements of what that job requires. So I think we’re going to continue to see that trend, like it or not. But I do feel like largely in terms of where the profession has gone and where it needs to go in terms of evolving, overall, it’s been a positive. Travis: [00:24:57] Talking about historically in the profession, 15 years ago, there’s about 40-something pharmacy schools, and today, I think there’s almost 130. Tim: [00:25:05] Hundred and forty plus, now. Travis: [00:25:06] A hundred forty? Will the pharmacy career evolve? Travis: [00:25:08] Oh gosh, man. I went away for two weeks, Tim, and there’s 10 more pharmacy schools. So you know, crystal ball, right? How is this going to end? A couple of things I’m thinking about, you know, 10 years down the road. Let’s say we have another 2008 mild recessions until that point. Big recession. Another 10 years’ worth of buildup in terms of the number of pharmacists in the profession. Eighty-something percent acceptance rates. I mean, what could happen in this profession? What do you see the range of outcomes being? Tim: [00:25:34] Disclaimer to your audience: I’m an optimist by nature, right? And so I think that for me, there’s kind of two ways of really looking at. One is to say if everything stays status quo in terms of the role of the pharmacists today, I think we’re in some serious trouble because if you look at just supply and demand, the market will take care of itself. I firmly believe that. That if the role doesn’t evolve in terms of pharmacists getting paid for cognitive services, the reality is technology, I firmly believe. And others entering this space are going to be a major disruptor for pharmacy in the next five or 10 years. I really hold the belief that if we think of the traditional experience of somebody walking in the doors of a community pharmacy today, and if nothing changes in terms of reimbursement, what we see each and every year is that the amount of money that a pharmacist is — or a pharmacy, excuse me, is getting reimbursed for processing a prescription with the insurance company, that’s going down. And so you can only correct that so much by filling more prescriptions. And if you’re a large corporation, you’re looking at that equation — the highest cost center you have in that equation is your personnel. And so what’s going to happen? You’re going to cut hours. We’re already seeing that. You’re going to cut wages. You’re going to see that. So something is going to have to give, especially as technology evolves and others like Amazon, insert whatever company disrupt this space. Tim: [00:26:44] So if we can evolve — and I think where we really need to evolve as a profession is largely in the amputee care space. You know, we’ve done a great job in the hospital setting. I firmly believe that every physician in primary care practice in the outpatient space should have a pharmacist alongside of them in that process in terms of once a diagnosis is made, that they’re really managing the medication treatment and initiating modifying, discontinuing, changing ordering, lab tests, etc. And we’re seeing some states make incredible progress of that on a state level. But here’s the fundamental problem right now, Travis, is that we do not have a consistent reimbursement mechanism to make that a viable business model. Tim: [00:27:18] If we want to take the gloom and doom scenario of it, it’s that the outpatient space does not evolve. We have a surplus in the market, and I think we’re in some serious trouble in terms of wages and other things. But we’re going to get to a point where if that does not evolve, then obviously we’ll see a trickle-down effect where less people enter into pharmacy school. I think we may see a consolidation of class sizes, maybe even the closing of some schools depending on what happens. But I’m hopeful that we’re gonna see the expansion of the role of the pharmacist on the health care team continue to evolve in the future. Travis: [00:27:45] So one thing is, I’ve got a little bit of an acid reflux issue, so I go and get this medication from Walgreens. And it’s like very cheap medication. And it just blows my mind that somehow that’s profitable to sell this stuff. One thing that I’ve found with this medication is the most difficult thing to do for me is just remember to take it all the time and consistently and before meals instead of after meals. And it’s fascinating to me, like, if I forget to refill this thing, I must get, like, 15 automated calls from, like, Walgreens or something. Like, I looked at it, and my phone’s always getting all these calls. But I get no reminders at all to actually take the medication and to take it on time and to do it in the way that it’s supposed to be done. And gosh, I feel like, you know, how financial planning went from that transition from being a very commission-based industry focused on product sales to a relationship-driven flat fee retainer monthly charge kind of a setup. I wonder if there is room for that in the pharmacy profession, especially like the concierge space with people who could afford to pay $50, $100 a month for services to just make sure they’re actually taking their medications. Maybe you can share some thoughts on some of these alternative business models. Tim: [00:28:50] I think the example you just gave there from a consumer perspective hits on one of the fundamental problems of the system. So the reason you’re getting those automated calls is because every time a prescription’s processed, there’s a payment coming from an insurance company for you to get that medication filled. So there’s an incentive for a patient to be refilling their medications each and every month, which there should be if somebody is taking it correctly because we know very well that about 50% of outpatient prescriptions, once the prescription’s written, the patient either doesn’t get it filled. Or they get it filled, but they’re not taking it correctly. They either forget, wrong dose, too much or too little. All types of things that can happen in that process. Tim: [00:29:23] But here’s the problem is that if I’m a community pharmacy, I typically, with few exceptions, am not getting paid for you, Travis, taking your medication each and every day so you don’t have acid reflux. So you don’t end up in the E.R. So that you don’t need a scope, right? All of these things that can happen. And so we are still in a metric-driven system, but, you know, more of a fee-for -service type of model rather than an outcomes-based model. I think we’re seeing that shift happen, and we have lots of literature that proves the value of the pharmacist on the medical team to improve patient outcomes and reduce costs. Certainly the Affordable Care Act is helping to move that in the right direction, but we’re still a long way away from really having payment based solely on outcomes. And I think if we look at the community pharmacy space, it’s a great example that I’m incentivized still for you to come get your medications. I’m not incentivized for the quality of that interaction or the quality of your care. Once you get that medication, as long as that payment model continues to exist and is prevalent, I think that’s going to drive the value of the pharmacist or lack of perceived value of the pharmacists and how that interaction is going on between you and the patient. Because, you know, there’s already some states — You know, I think Iowa recently passed a Tech-Check-Tech bill that ultimately, as we look at technology and things in the future, if you’re an owner of a community pharmacy, and you’re not necessarily getting paid based on outcomes, you’re getting paid based on the transaction, and that law no longer requires you to have necessarily a pharmacist involved at the level they are, then you look at that salary line and say, “Do I need to be paying this salary line?” Right? So we need to continue to evolve the payment models and the role that pharmacists have on improving outcomes, which we know they can do, and how they can get paid for doing that service. Tim: [00:31:02] But your example that is a great one. I mean, it highlights the problem that’s out there. Travis: [00:31:06] Yeah. And with the Amazon PillPack kind of things entering this space, I mean. And also, I saw some story on Facebook about how people are going to try to post some sort of automated service, you know, at the checkout counter, something, for certain things that are not super dangerous prescriptions or something like that. Travis: [00:31:21] What are the risks to the profession? The big risks from an automation perspective? What would be the fat-tail risk for the pharmacy profession? Tim: [00:31:29] I think one of the biggest risks that automation has is, I think that automation really has the potential to undervalue what comes from that pharmacist-patient interaction, right? You know, just like you were talking about with your service, when you sit down and you can really get to a person’s situation, understanding their feelings and their beliefs and their motivations. You know, the numbers and the automation may tell one story. When we think about the pharmacy space, we can look at other drugs you’re on. We can look at potential interactions. When we actually sit down with you and get an idea of what is actually the full picture. Are there things on this list that you’re taking that we don’t have record for? Or what are some of the barriers that are getting in the way of you taking medications? Often that may be cost. It may have to do with schedules. It may have to do with beliefs around medications and perceived value of medications. All types of things that automation cannot necessarily predict. I think automation underestimates how much value and how big of a role pharmacist plays in improving medication adherence and optimizing the medication plan. And those two pieces we know from lots of literature being published is what prevents hospitalizations, is what prevents recurrences back into the emergency room, or what prevents and keeps costs down low in terms of healthcare cost. So obviously, could automation happen? Will it happen? Yes, but I think that, you know, we may see in terms of savings in one area, we’re going to see increased costs in others because we I think are underestimating the role of the interaction that that pharmacist has. Travis: [00:33:30] Yeah. “And then I actually make sure that those changes actually continue to happen because people mess up. And they forget. And they stop prioritizing something.” And seems like such a big opportunity for that in the pharmacy world. Maybe that’s a really attractive area for a young entrepreneur in the pharmacy space that could really get involved in some of these high-end coaching or consulting. I don’t know if that’s — there’s licensing restrictions to that or not. Tim: [00:33:53] I think this space is ripe for entrepreneurship and innovation. You know, I think there’s probably been other times in the professional pharmacy where it’s been a sky-is-falling type of mentality. But the way I look at a time period like this is, you look at a system that’s evolving. You look at other practitioners that are evolving around us. You look at technology and the impact it has and what we’re doing. There is probably no better time, historically maybe there was, in terms of the need for innovation and entrepreneurship and how we deliver pharmacy. And to be honest, you know, without being too Elon Musk and futurist on you is that I think we need to completely rethink the experience of community pharmacy practice. What does that look like in terms of how a patient wants to interact with the system and how we think they need to interact with the system to get the value? Because we can rest on the fact and the reality and the evidence that we know if a patient talks to a pharmacist and walks through those doors, they’re going to get the most value, and it’s going to prevent other costs in the healthcare system. If the reality is that people don’t want to walk through those doors, and the system is changing around us, well, then how do we pivot and adopt technology and do other things that allows us to still have that interaction? But not to die by the reality that you either need to come in here or it’s not going to happen. Travis: [00:35:02] That’s great. So you wrote a book called “Seven Figure Pharmacist,” which implies that a pharmacist would have a seven-figure net worth. Could you tell our listeners a little bit about that book and about how somebody could become a seven-figure pharmacist? Tim: [00:35:15] Yeah, absolutely. So, “Seven Figure Pharmacist,” we came out with that book, Tim Church and I, in April 2017. You know, I think the idea, we were really trying to shift the conversation toward building wealth, and not building wealth for wealth’s sake but building wealth to achieve your financial goals. And one of things we spent a lot of time talking about in that book, we talk a lot about on the podcast, is really finding your ‘why.’ What are you trying to do, and why are you trying to achieve it? And when we talk about having a seven-figure net worth, and we know that $1 million is probably not going to be enough for many pharmacists, you’re looking at $3 million, $4 million, $5 million, $6 million with inflation and other things as that. It’s not about becoming rich for becoming rich. It’s about achieving the goals and living the lifestyle that you want to live. And it’s having the income to be able to fund that, having the assets to be able to fund that. Tim: [00:35:56] So when we came out with that book, one of our purposes of doing that was that we really felt like pharmacists were spinning their wheels of not having resources that could help with everything from student loans to budgeting to goal setting to insurance, tax plans, retirement. And so that book is really kind of a crash course financial planning 101. Everything from behavioral decision-making at the very beginning of the book, mistakes to avoid, budgeting, goal setting, planning, insurance, tax, retirement, etc. And then we finish up with some of ‘The Millionaire Next Door’ principles and the habits of the wealthy. 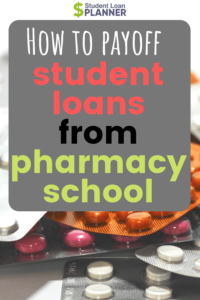 This is really for us, over at YourFinancialPharmacist.com, this is the resource that we think should be in the hands of every pharmacy graduate, new practitioner, students as they come out the door to say, ok, if you don’t feel like you’ve had a financial education or you need a refresher, you need a reminder, start here. And then we can take it from there to a next level of building out a financial plan that’s unique to your situation. So that was really the genesis of “Seven Figure (Pharmacist).” We just actually crossed 3,000 copies that we sold of that book. So it’s been a fun journey, and we’ve got a lot of great feedback from that resource. Travis: [00:36:57] Awesome. So one more question before I ask where folks can find you. Would you let your children become pharmacists? And if so, what would you tell them? Tim: [00:37:06] Wow, man, you’re putting me on the hot seat with this one, right? You know, I was — just had this conversation with my wife, and we have three boys. We have a fourth child on the way. We talk a lot about the future of education and pharmacy and where we would send our kids, what we’d do. I think for me, as I think about the profession of pharmacy going forward and my children, I think the space and the opportunity is specifically in entrepreneurship and pharmacy. To me, in terms of my kids entering the pharmacy space in a traditional role as it is today, doesn’t get me excited. Doesn’t get me jazzed up about something that is something they could go forward with and really be able to innovate and create. I’m really passionate about trying to teach my boys basic principles of entrepreneurship. That doesn’t necessarily mean owning their own company. Could meet entrepreneurship of evolving and innovating with their own company. But how do you seek opportunities, and how do you create solutions that solve problems? Whatever they end up going into, whether it’s medicine, pharmacy, something completely unrelated, I want them to have that mindset of ‘What are the problems that exist? What are the solutions that I can create to solve those problems?’ And that’s the skill set that I’m trying to teach them. If that’s pharmacy, great. If that’s medicine, great. If that’s dentistry, great. If that’s something completely different, real estate or their own business, you know, that’s really the fundamentals of what I want them to learn. Travis: [00:38:15] That’s awesome. And where can people learn more about YFP? Tim: [00:38:18] Yeah, YourFinancialPharmacist.com is the best place to start. Lots of guides, resources. You can find information about the podcast on there. We’ve got the blog. We’ve got all types of free guides. And then we’re on all social media platforms. Especially for your listeners, I think the Your Financial Pharmacist Facebook group is a great place to start, to interact, get your questions answered and join a community of like-minded professionals that are committed to helping one another achieve financial freedom. Travis: [00:38:39] And if you’re not a pharmacist, you probably know one. So tell them about YFP. Tim: [00:38:44] Yes. Yes, please. Thank you. Travis: [00:38:45] Thanks so much, Tim, for being on the show. Travis: [00:38:47] Thanks for listening to today’s show. If you wanted to learn more about getting a custom student loan plan, visit StudentLoanPlanner.com forward slash help. Show notes are available at StudentLoanPlanner.com forward slash the number of today’s episode. And finally, if you like your Student Loan Planner podcast, leave us review or share it with someone who owes more than you. Keep calm, and build wealth, y’all.